The greatest superpower is a mother’s love. In a comic book world from the mind of a 14-year-old boy, Sabrina becomes superhero Maasai Angel to take on her arch villains. Enter Lady Vulture, Human Hyena and more. Compared to the pain of her real world, this battle is child’s play. This world premiere play helmed by lauded director Robert O’Hara (Barbecue, Bootycandy, Eclipsed) bursts with life from the vibrant imagination of Los Angeles-based playwright Inda Craig-Galván (I Go Somewhere Else). Major support for this world premiere production provided by the Edgerton Foundation New Play Production Fund and Claudia and Kevin Bright. Grants from The Sheri and Les Biller Family Foundation and The David Lee Foundation are providing support for this production. Review: "Inda Craig-Galvan’s sharp dialogue and multifaceted characterizations... are artfully rendered by director Robert O'Hara along with an exemplary cast led by the transcendent Kimberly Hébert Gregory." Inda is a Chicagoan living in Los Angeles. Where it’s warm. 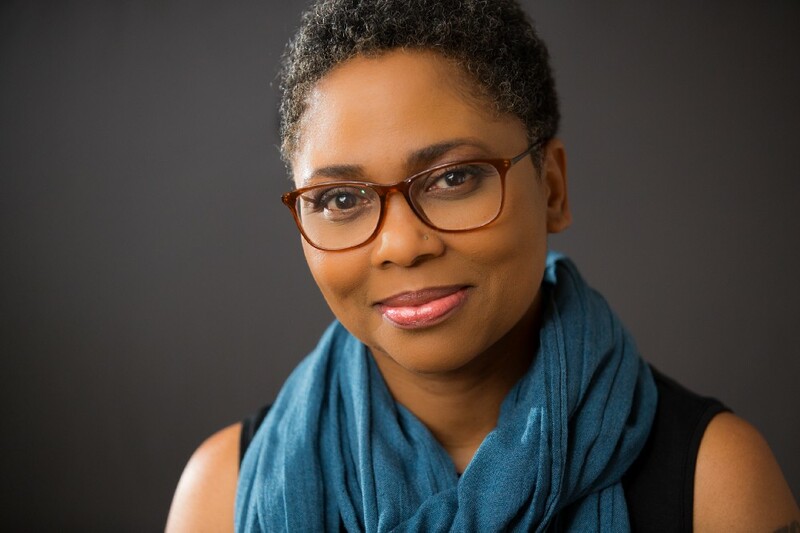 Inda’s plays have been developed and presented at theaters including Eugene O’Neill National Playwrights Conference, Oregon Shakespeare Festival Black Swan Lab, Kitchen Dog Theatre New Works Festival, The Old Globe, Chalk Repertory Theatre, Skylight Theatre, San Francisco Playhouse, Playwrights’ Arena MPAACT, Trustus Theatre Playwrights Festival, and Lorraine Hansberry Theatre. Honors: The Kilroys List, The Kennedy Center Rosa Parks Playwriting Award, Blue Ink Playwriting Award, Urbanworld Film Festival’s Grand Jury Prize for Best Screenplay, Jane Chambers Student Award for Feminist Playwriting, Black & Latino Playwrights Conference Winner, WomenWorks Playwriting Winner, Humanitas Play LA, and Princess Grace Award in Playwriting (runner-up). In addition to writing theater, Inda is a television staff writer on ABC’s The Rookie. M.F.A. in Dramatic Writing, University of Southern California. Robert O’Hara has received 2 NAACP Awards (Best Director and Best Play), the Helen Hayes Award for Outstanding New Play, two OBIE Awards, Alpert Award and the Oppenheimer Award. He directed the world premieres of Nikkole Salter and Dania Gurira’s In the Continuum, Tarell McCraney’s The Brother/Sister Plays (Part 2), Colman Domingo’s Wild with Happy, Kirsten Childs’ Bella: An American Tall Tale, as well as his own plays Mankind, Bootycandy and Insurrection: Holding History. His recent plays Zombie: The American and Barbecue world premiered at Woolly Mammoth Theater and New York Shakespeare Festival, respectively. His recent directing projects include Kirsten Childs’ The Bubbly Black Girl Sheds Her Chameleon Skin at City Center/Encores Off Center, Universes’ Uni/Son (inspired by the poetry of August Wilson) at Oregon Shakespeare Festival, Shakespeare’s Macbeth at Denver Center for the Performing Arts and Slave Play at New York Theatre Workshop. He holds a Directing M.F.A. from Columbia University. 1 hour and 55 minutes, including one 15 minute intermission. Background Photo: Cedric Joe and Kimberly Hébert Gregory photos by Chris Whitaker.